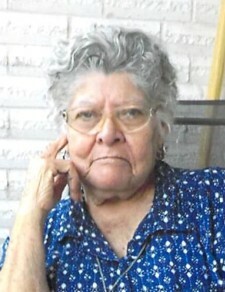 Alton - Maria Martha Perez, 76, entered eternal rest on Sunday, March 17, 2019 at Rio Grande Regional Hospital in McAllen. Maria was born on Wednesday, April 15, 1942 in Durango, Mexico, the daughter of the late Crecencio and the late Francisca (Renteria) Gamez. She is preceeded in death by her parents; her husband: Leon Perez; three brothers and one sister. She is survived by her children: Ramon (Dora) Perez, Martha E. (Mario) Alanis, Tereza (Danny Cowen) Perez, David C. (Mayra) Perez and Mari Cruz Perez; two sisters: Juana Rodriguez and Herminia Gamez; nine grandchildren and two great-grandchildren.